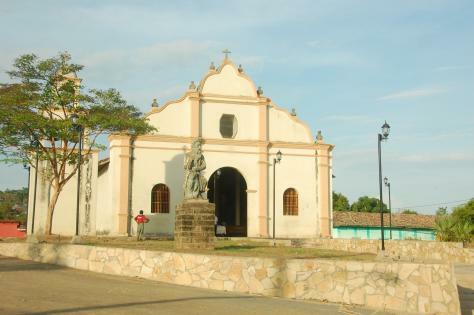 After the original city of Panama Viejo was pillaged in 1671 by Henry Morgan and his notorious band of pirates, the survivors (under the orders of the King of Spain) moved to a rocky peninsula on the Bahía de Panama to begin again. Just two years later, the new city was completed with a massive seawall that made it much easier to defend against future invaders. 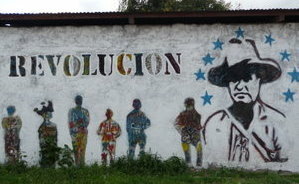 As the city gained prestige and power, its population began to overflow the same walls that once protected them and spread toward the northeast into what is now modern-day Panama City. But by the latter half of the 20th century, this older portion of Panama City (known as Casco Viejo) had become reduced to just a small historic quarter with a once glorious past. With a loss of influence and power, it gradually fell into disrepair and began to fade into history. 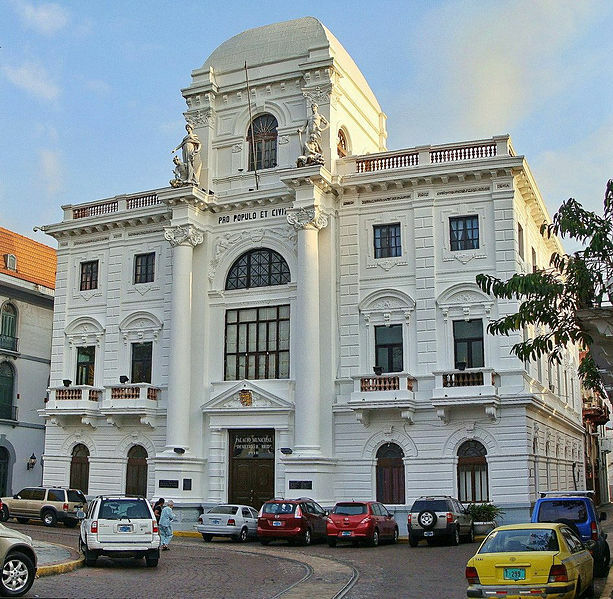 But in 1997, Casco Viejo was declared a World Heritage Site and from that time, a massive urban development project has painstakingly restored a portion of the approximately 800 buildings back into their originial appearance. 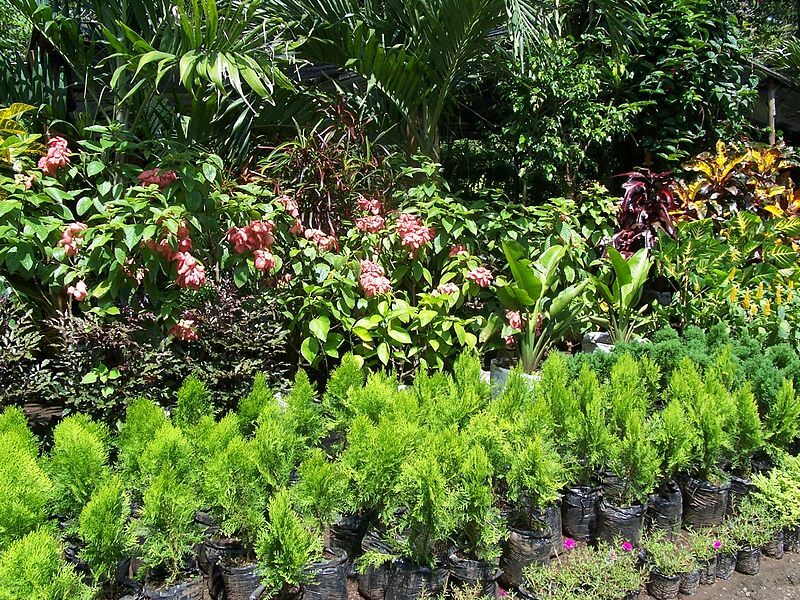 The restoration project is still underway supported by both the government and private sectors. 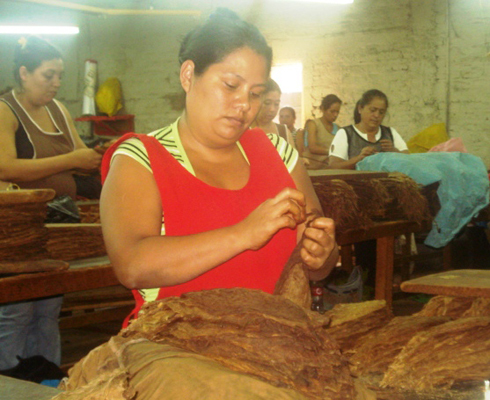 Currently, the district is known by several names: San Felipe, Casco Antiguo, and of course, Casco Viejo. 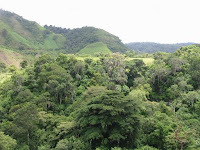 It is the most picturesque and historically interesting area of Panama City. Everywhere you look, the historic buildings display a wide range of architectural styles that include French, Spanish Colonial , Art Deco, and even Caribbean. 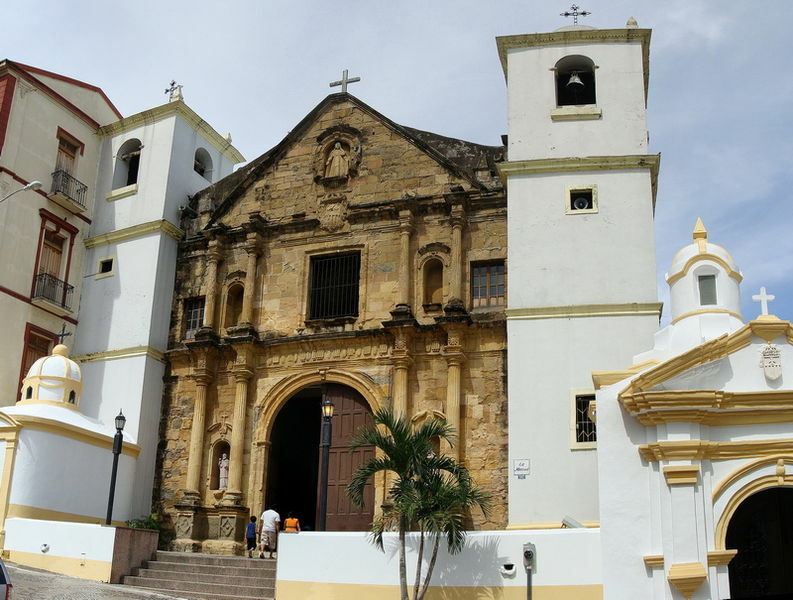 With its charming plazas, excellent museums, and historic churches, this former walled city has easily become one of the top destinations in the region, second only to the Panama Canal. 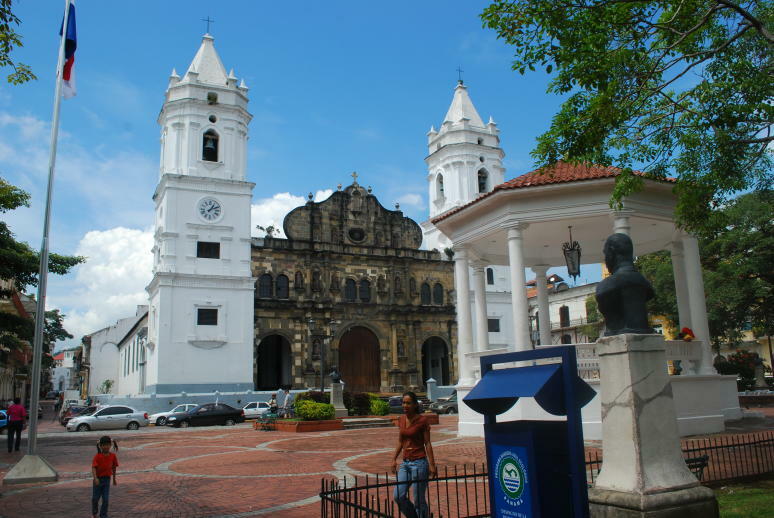 Plaza de la Independencia – This cobblestoned main plaza, also known as the Parque Catedral, is located in the heart of Casco Viejo at Calle 5 and Avenida Central. 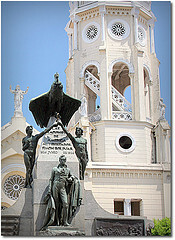 It is known for being the site where Panamanian independence was officially declared from Spain on November 3, 1903. This plaza includes a charming gazebo and plenty of shaded benches that makes it a great place to sit and watch people mingle, gossip, or just relax under the large Tabebuia trees. But most importantly for visitors, many of the area’s main attractions border the plaza and the mixture of the surrounding Spanish and French architecture offers many photo opportunities. 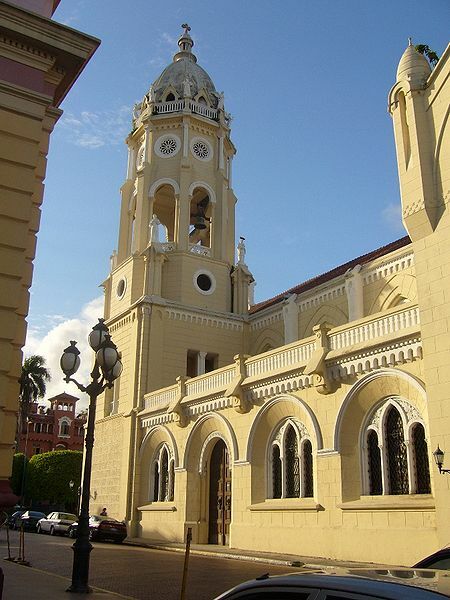 Dominating its entire western side is the plaza’s original namesake, the Catedral Metropolitana, one of the largest cathedrals in Central America. 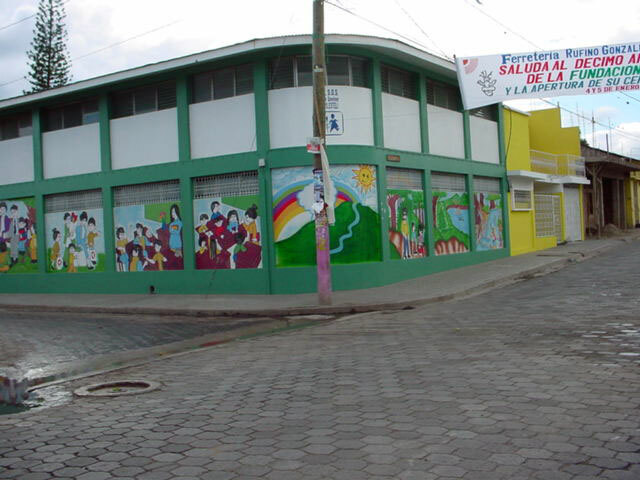 In addition, the plaza is the site of the monthly Flea Market and Food Fair, which occurs one Sunday a month. With the right timing, you can sample food provided by the local restaurants, watch live musical entertainment, and bargain with the vendors selling everything from souvenirs and t-shirts to arts and crafts. 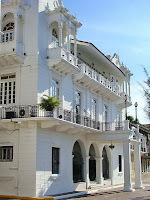 Palacio Presidencial – Located two blocks north of the Plaza de la Independencia between Calles 5 and 6, is the official residence of the President of Panama. 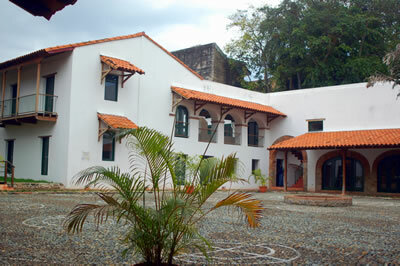 This palace was originally built in 1673 and served as the home to several colonial and Columbian governors. In 1922, it was rebuilt into its grand neo-Moorish style during the administration of President Belisario Porras who also introduced the white Darién herons to the property. Today, the herons continue to freely roam the grounds and the palace’s nickname has become the Palacio de Las Garzas because of them. For obvious security reasons, the building is closed to the general public, but the structure is worth visiting at least to snap a few photos. Hotel Central – Located on the eastern side of the Plaza de la Independencia is the concrete shell of the Grand Hotel, which was (during its time) one of the most luxurious hotels in Central America. It was frequented by many dignitaries over the years and it is also known as the site where jubilant crowds gathered to celebrate the Independence from Spain in 1903 by pouring champagne over the head of General Esteban Huertas, who took part in the revolution. In 2004, the hotel was closed for a major restoration with plans to become a 140-room luxury hotel, one of the largest in the area. But at the time of this post, the hotel is still being completed despite the almost seven-year time span. 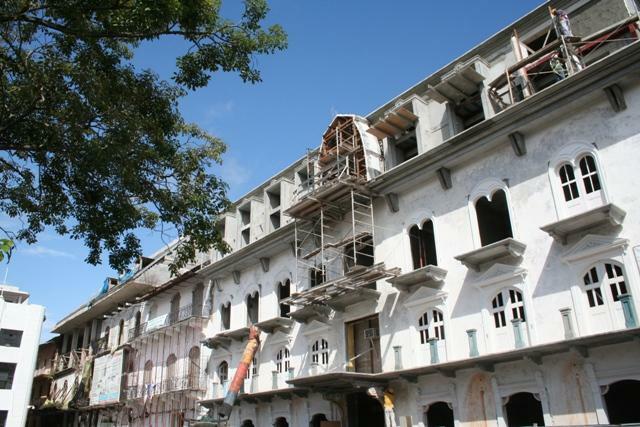 It is one of many historic structures in Casco Viejo that are slowly being returned to their former glory. Plaza de Francia – Located south on Calle 1 at the southernmost tip of Casco Viejo, is a large square that was once the main plaza of the walled city. Enclosed on three sides by defensive seawalls, it was designed by Leonardo de Villanueva in honor of the approximately 22,000 thousand French workers who died from disease in a disastrous first attempt to build the Panama Canal. A French-style obelisk stands watch over the plaza and it includes a dozen marble plaques that offer vivid details about the tragedy. In addition to the monument, the French Embassy and the Instituto Nacional de Cultura, the plaza’s primary historic structure is Las Bovedas (The Vaults). During the colonial period, the plaza was a busy military center and the vaults under the walls once served as the city’s jail. Because the jail was built below sea level, high tides would sometimes flood the cells, drowning the unfortunate prisoners. Beautifully restored in 1983, the vaults are now home to an excellent French restaurant of the same name and a small art gallery. You can also walk on top of the seawall for excellent views of Panama City’s skyline and the line of large ships awaiting their turn through the Panama Canal. 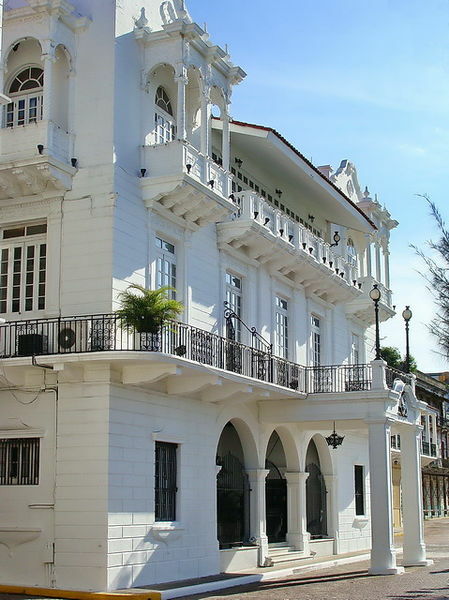 Teatro Nacional – Located just south of the Plaza Bolivar on Avenida B, this national theater opened its doors in 1908. Since it was designed by Genaro Ruggieri, who also designed the world famous La Scala Theater in Milan, it includes near-perfect acoustics and a highly decorated, red-and-gold interior complete with crystal chandeliers and dramatic busts of famous actors. Its highlight is the vaulted ceiling that depicts the birth of the nation created by Roberto Lewis, a well-known Panamanian artist. The entire building was beautifully restored in the early 1970s and 2000s, and visitors can take a docent-lead tour during opening hours. Antiguo Club Union – Also known as the Club de Clases y Tropas, this bombed ruin overlooking the sea to the east was once a club for Manuel Noriega and other Panamanian elite. 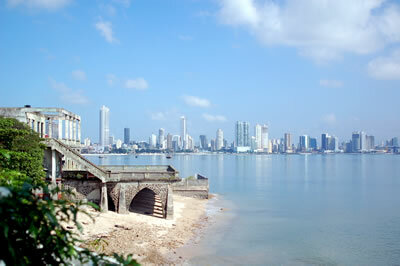 Destroyed by Noriega’s National Guard during the U.S. invasion, its position on the waterfront is still an interesting site mostly for its view of modern Panama City’s skyline. 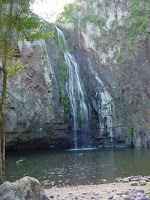 The site was also used for a formal ball scene in the 2008 James Bond film “Quantum of Solace.” It is located on the seafront northeast of the corner of Avenida A and Calle 1. At the time of the post, the area is completely closed due to renovations, but you can still view it from the outside. For those interested in exploring the number of historic churches in Casco Viejo, check out my post: Exploring the Churches of Casco Viejo, Panama. After the city of Panama Viejo was destroyed by Henry Morgan and his band of pirates in 1671, the survivors (under the direct orders of the King of Spain) moved to a rocky peninsula on the Bahía de Panama to start all over again. By 1673, the new city was completed and it included a massive wall that made it much easier to protect against future invaders. As the city prospered, its population began to overflow the walls that once protected them and spread east into what is now modern-day Panama City. 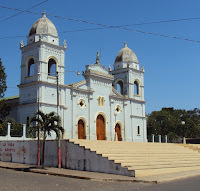 But as Panama City continued to expand in the latter half of the 20th century, this area now known as Casco Viejo, continued had become reduced to just a small historic quarter with a once glorious past. With a loss of influence and prestige, it gradually fell into disrepair and began to disappear into history. But in 1997, Casco Viejo was declared a World Heritage Site and since then, a massive urban development project has painstakingly restored a portion of the approximately 800 buildings back into their former glory. Currently, the restoration project is still underway supported by both the government and private corporations. 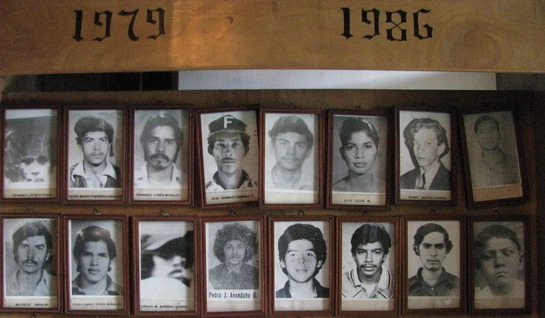 Today, the district is known by several names: San Felipe, Casco Antiguo, and of course, Casco Viejo. 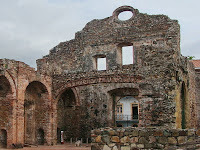 It is the most picturesque and historically interesting part of Panama City. 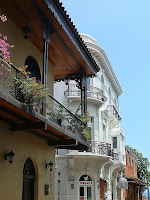 Everywhere you turn, the historic buildings display a combination of architectural styles that range from French and Spanish Colonial to Art Deco and Caribbea. 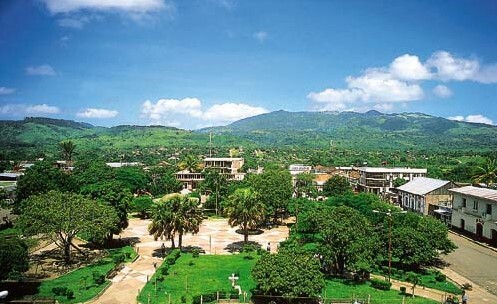 With its charming plazas, beautiful churches, and excellent museums, this former walled city has easily become on the of the top tourist attractions in the city, second only to the Panama Canal. 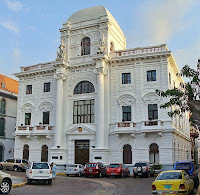 Museo de Historia Panameña - On the southwestern corner of the Plaza de la Independencia is the neoclassical Palacio Municipal that dates back to to 1910. 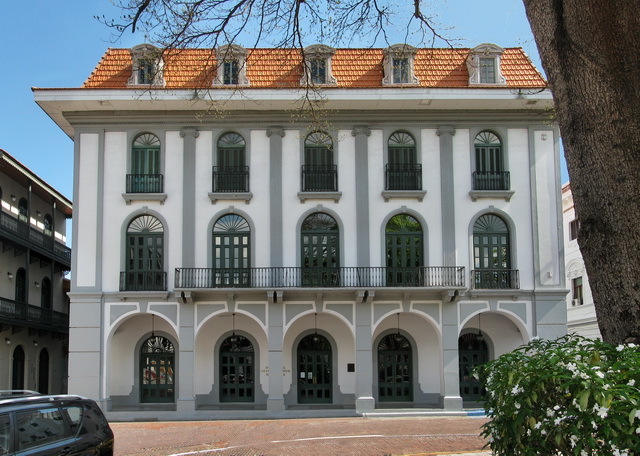 It includes a small but impressive history museum on the second floor and its collection of paintings, documents and sculptures cover the entire history of Panama. The collection is grouped into three overall historical periods: Colonial (1501 to 1821), Departmental (1821 to 1903), and Republican (1903 to the present. It is a great place to learn about the country's history and it only takes about an hour. 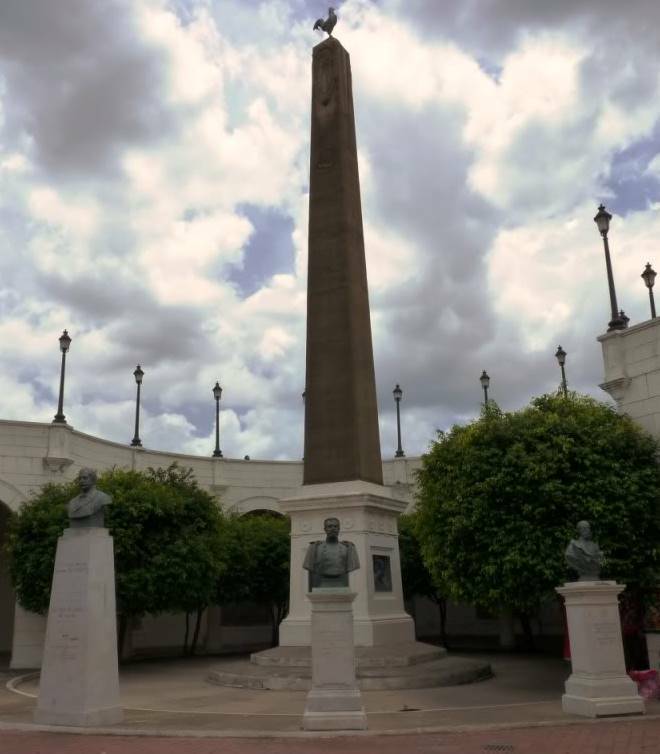 The museum is open Mondays through Fridays from 8 a.m. to 4 p.m.
Museo del Canal Interoceánico - Located on the southeastern side of the Plaza de la Independencia is the Panama Canal Museum, established in 1997. 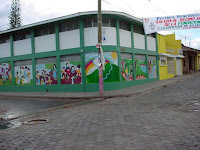 For those who want to learn more about the Panama Canal, the exhibits in this museum include a wide array of photographs, videos, and documents (such as the original canal treaties) that cover the triumphs and tragedies of the canal from the first attempt by the French to the successful completion by the United States. All of the displays are in Spanish but English-speaking guides as well as audio tours are also available for a small additional fee. The building itself dates from 1874 and it has served many roles ranging from office space for the original French and U.S. Canal Companies to the main post office in 1912. 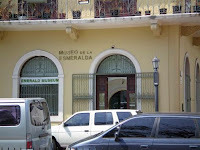 The museum is open Tuesdays through Sundays from 9:30 a.m. to 5 p.m. More information can be found at their website: www.museodelcanal.com. 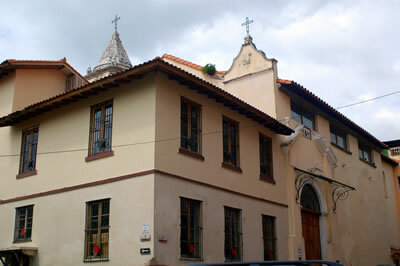 Museo de Arte Religioso Colonial - This small museum is located in the former chapel of the Church and Convent of Santo Domingo at Avenida A and Calle 3. Built in the second quarter of the 1700s, this historic building was fortunately restored in 1974 without destroying any of its original structure. 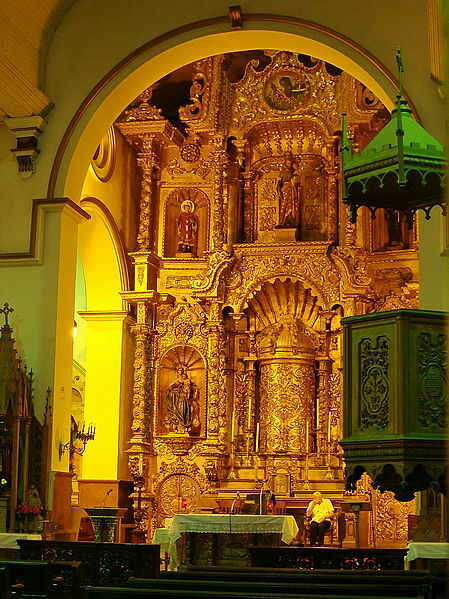 The museum includes the most complete collection of colonial religious art in the country with pieces that range from 18th-century paintings and wood carvings to an engraved silver cross that dates back to the 16th century. 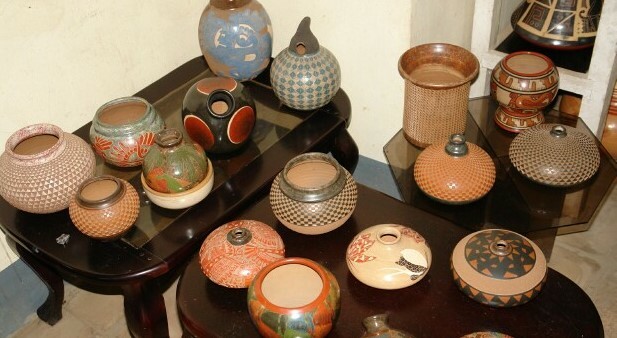 What is most impressive is that many of the pieces in the collection actually survived the pillaging of Panama Viejo where they were once located. The museum is open from Tuesdays through Saturdays from 8 a.m. to 4 p.m.
Museo de la Esmeralda - Located in a former bank on Calle 6 just north of the Plaza de la Independencia, this small museum covers the complete history of emeralds, its mining process and its lucrative industry. It even includes a replica of an emerald mine in the former bank's vault that you can enter and view (although children seem to enjoy it much more than adults). Admission to the museum is free, but the assumption is that you will be enticed to purchase something at the on-site emerald jewelry store before or after exploring the museum. The museum is open Mondays through Saturdays from 9 a.m. to 6 p.m.
After the destruction of Panama Viejo by Henry Morgan and his band of pirates in 1671, the survivors (under the orders of the King of Spain) relocated to a rocky peninsula on the western edge of the Bahía de Panama to start over. By 1673, the new city was built complete with a massive wall that made it much easier to defend and from that period on, the city began to prosper. Its population eventually overflowed the walls that once protected them and spread rapidly toward the northeast into what has become modern-day Panama City and its suburbs. 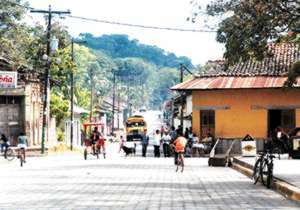 But as the larger and more modern Panama City continued to expand in the latter half of the 20th century, Casco Viejo had become just a small district with a once glorious past. With no more power and prestige, it slowly fell into disrepair and began to fade into history. 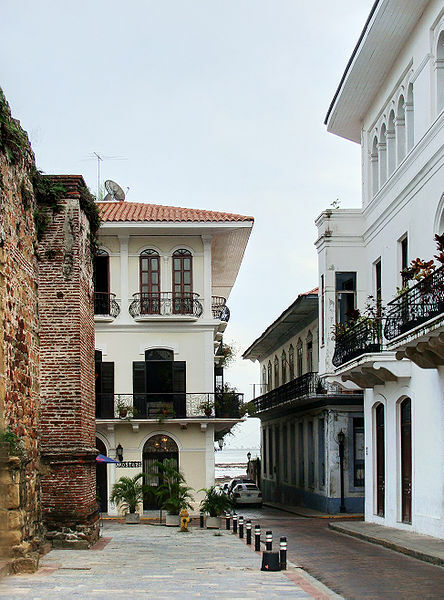 Fortunately, Casco Viejo was officially declared a World Heritage Site in 1997 and since then, a massive urban development project has painstakingly restored many of the approximately 800 buildings back into their former glory. 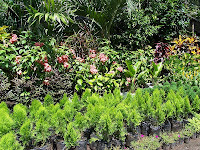 At the time of this post, the restoration project is still underway by both the government and private sectors and you will see many ruins in between the gleaming new restorations. Today, the district is known by several names: San Felipe, Casco Antiguo, and of course, Casco Viejo. 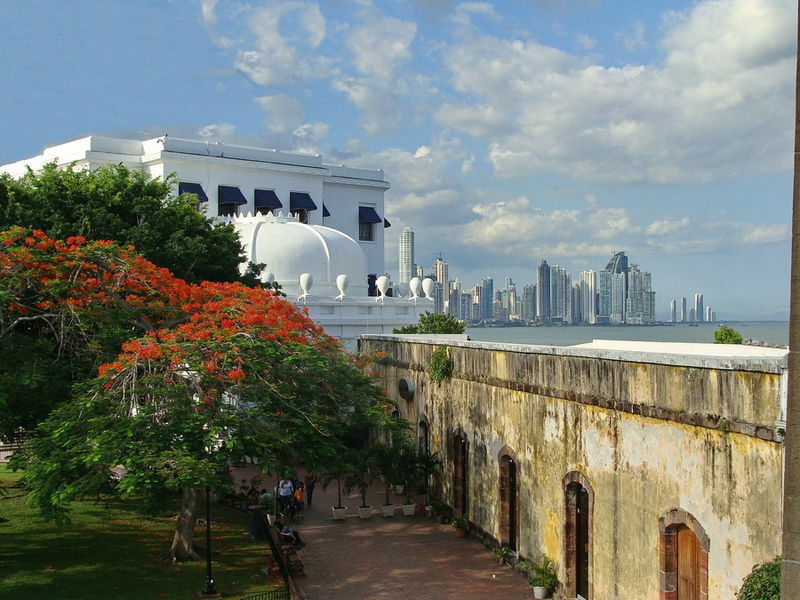 It remains the most picturesque and historically interesting part of Panama City due to its structures that display a complete mix of architectural styles including French, Spanish Colonial, Republican, Art Deco and even Caribbean. 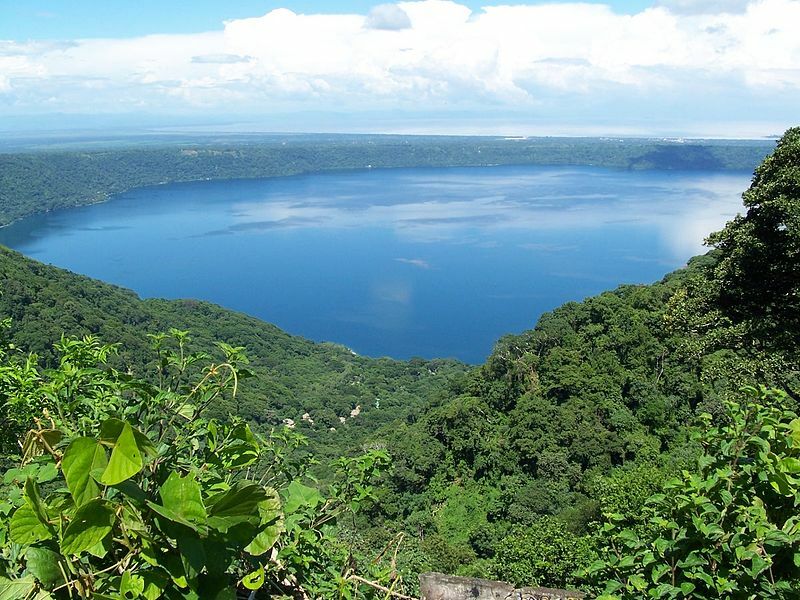 With so much to see, it comes as no surprise why this former walled city is now one of the most visited tourist attractions in the region, second only to the Panama Canal. 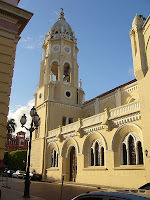 Plaza de la Independencia - This cobblestoned main plaza, also known as the Parque Catedral, is located in the heart of Casco Viejo at Calle 5 and Avenida Central. 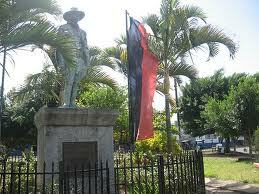 It is known for being the site where Panamanian independence was officially declared from Spain on November 3, 1903. This plaza includes a charming gazebo and plenty of shaded benches that makes it a great place to sit and watch people mingle, gossip, or just relax under the large, flowering Tabebuia trees. But most importantly for visitors, many of the area's main attractions border the plaza and the mixture of the surrounding Spanish and French architecture offers many great photo opportunities. 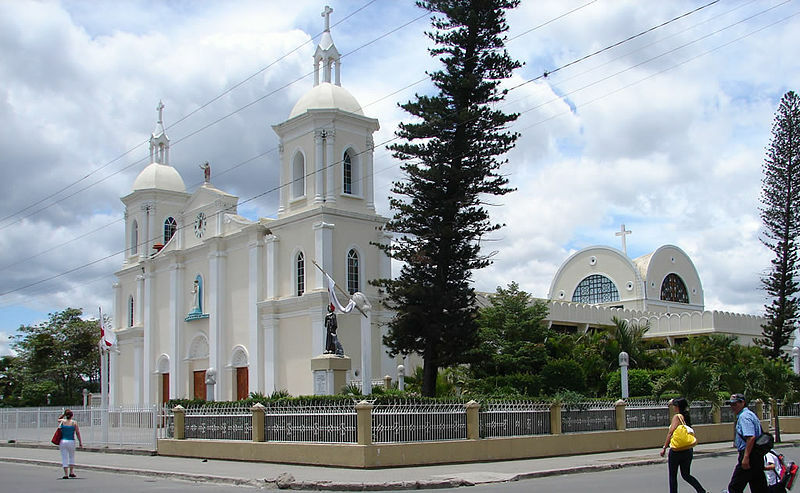 Dominating its entire western side is the plaza's original namesake, the Catedral Metropolitana, one of the largest catedrals in Central America. In addition, the plaza is the site of the monthly Flea Market and Food Fair, which occurs one Sunday a month. With the right time, you can sample food provided by the local restaurants, watch live musical entertainment, and bargain with the vendors selling everything from souvenirs and t-shirts to arts and crafts. Plaza de Francia - Located south on Calle 1 at the southernmost tip of Casco Viejo, is a large square that was once the main plaza of the walled city. Enclosed on three sides by defensive seawalls, it was designed by Leonardo de Villanueva in honor of the approximately 22,000 French workers who died from disease in a disastrous first attempt to build the Panama Canal. An obelisk stands watch over the plaza and it includes a dozen marble plaques that offer vivid details about the tragedy. In addition to the obelisk, the French Embassy, and the Instituto Nacional de Cultura, the plaza's primary historic structure is Las Bovedas (The Vaults). During the colonial period, the plaza was a busy military center and the vaults under the walls once served as the city's jail. Because the jail was built below sea level, high tides would sometimes flood the cells, drowning the unfortunate prisoners. The vaults, beautifully restored in 1983, are now home to an excellent French restaurant of the same name and a small art gallery. You can also walk on top of the seawall for excellent views of Panama City's skyline and the line of large ships awaiting their turn through the Panama Canal. 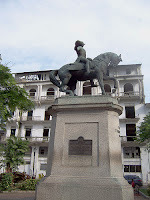 Plaza Bolivar - Located at Avenida B and Calle 4, this small but charming plaza was dedicated in 1883 to Simón Bolívar, whose statue stands in its center crowned with a condor. The plaza is lined with small cafes and restaurants complete with large umbrellas to sit and enjoy the view of the surroundings. 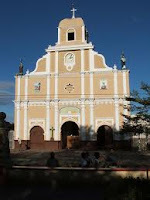 On the northeast corner of the plaza is an old monastery where Bolívar and Pan-American Congress first convened in the building's chapter room in 1826. The building was beautifully restored but unfortunately, it now houses government offices that are off limits to the general public. But you can still admire it from the outside as you enjoy your espresso on the square. 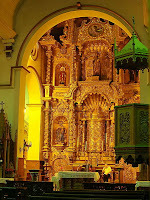 Next door is the Iglesia San Francisco de Asis, one of the smallest but most decorative churches in Casco Viejo. Built in the 17th century, it was devastated by a major fire in 1737, and again in 1756. Fortunately, it was restored in 1998 and although the interior is fairly uninteresting, its facade and bell tower is truly magnificent. Plaza Herrera - Located at Avenida A and Calle 9, this pleasant little plaza is lined with large 19th-century houses with some that have fallen into disrepair while others have been beautifully restored. Either way, the buildings provide a glimpse into this historic location's once prosperous past. Originally the site of the Plaza de Triunfo, where many bullfights were held, it was renamed in honor of General Tomás Herrera in 1922, who was the military leader of the an unsuccessful attempt for independence in 1840. He eventually served as the President of Columbia and was assassinated in 1854. The plaza's centerpiece is the statue of Herrera heroically poised on horseback.